You are here: Home / Knowledge / Compliance / Do Biofilms Support Legionella Bacteria? In this article we ask the question… do biofilms support the growth of Legionella bacteria? We look briefly at the first known recorded incident involving the bacterium, the link between biofilm and legionella, the influence of amoebae, what encourages growth, and what measures can be taken to control the risks, especially in water systems. The first known outbreak of Legionnaires’ disease occurred in 1976 in Philadelphia, USA and was named as such because it affected a convention of around 4,000 members of the American Legion. Twenty-nine people are known to have died in the outbreak, while around 180 others became ill. Since then, much research has been done into the bacterium responsible for the outbreak, called legionella, which is capable of being spread through fine water vapour or airborne droplets and potentially affecting anyone who inhales it. We know it thrives at certain temperatures and dies or becomes dormant in others. We have also discovered biofilms offer an excellent habitat for Legionella bacteria. In fact, Legionella bacteria has been proven to flourish in biofilms when conditions allow this to occur. A biofilm can grow in and out of water. It grows on the inside of water pipes. It grows on various other surfaces too – even our teeth, if we don’t clean them properly. 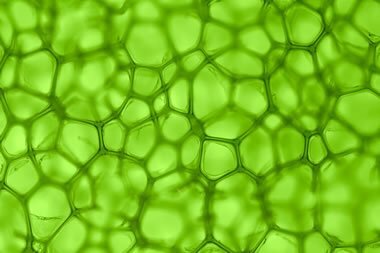 Biofilm is comprised of numerous microorganisms that collect together to create colonies of “slime” that can often be very difficult to remove from surfaces. They find it easier to grow and develop if the water or surroundings are warm enough. Researchers also discovered that when biofilms were permitted to grow, amoebae would eventually arrive too. Amoebae thrive in damp conditions, providing the ideal circumstances to multiply. Legionella bacteria were then seen to feed on that source, enabling them to grow further. The research indicated that biofilms consist of many diverse organisms. If biofilms provide a good source of nourishment for Legionella bacteria, it makes sense the bacteria would grow and become a bigger problem than if no biofilms were present to provide an available food source. Preventing, or at least controlling the growth of biofilms in water systems can be done in several ways. Clearly, keeping the water either at a higher or lower temperature than the ‘ideal zone’ for legionella growth (between 20 oC and 45 oC) will inhibit its reproduction in the water system. Furthermore, regular cleaning and disinfecting using specialists biocides of the water systems and equipment will help to remove any biofilms present and ensure further build-up is inhibited. However, those in charge of managing water systems and controlling legionella risks should recognise that disinfection alone is not always enough to get rid of biofilms and the problems associated with legionella. Perhaps most important of all is for the responsible person to carry out a detailed legionella risk assessment of the water systems and focus on developing and implementing a proper maintenance and water treatment plan. If this is done, there should be little chance for biofilm to establish itself in the system. It is this ongoing effort that will make the biggest difference when keeping any water system free from dangerous levels of Legionella bacteria. Our teams of water safety specialists support those responsible for the control of waterborne pathogens including Legionella bacteria in the workplace, helping them to protect their people and meet their health and safety obligations in this specialist area. We deliver professional water safety risk assessments for legionella, pseudomonas and other waterborne pathogens, water testing, independent compliance auditing, City & Guilds training and other environmental risk management services that help keep staff and others safe. If you have questions about any of the issues raised above or you would like to speak with one of our healthcare AE Water specialists please call us today on 0330 223 36 87 or contact us here.